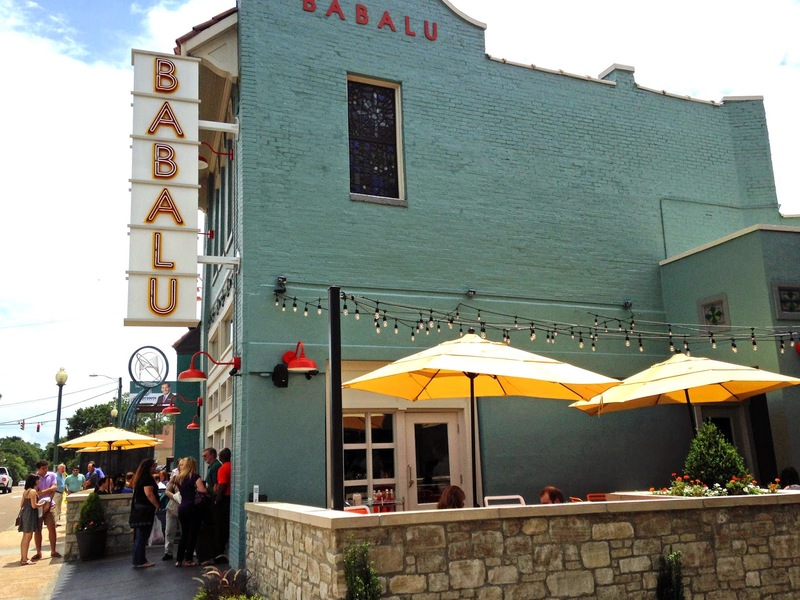 A couple of weeks ago Kirby, her little girl (who is going to be THREE soon, which is unbelievable), and I went to Babalu Tacos & Tapas, one of the newest additions to Overton Square. It's been pretty hyped, and every time I go by there are huge lines out the door, so we decided to go on a weeknight as early as possible - and it worked! Got there are 5:30, walked in, waited about 2 minutes, and got a table right away! Inside, it's a kind of "cozy industrial," if that's possible. Also, they show "I Love Lucy" projected on the wall! Because (as I've had to explain to a LOT of people) "Babalu" is the name of a Cuban song that Desi Arnaz, Lucille Ball's real and TV husband, popularized on the show. Desi Arnaz was my very first celebrity crush. When I was younger, I used to watch "I Love Lucy" with my gramma all the time. When I got old enough to be like "yay boys!" Desi Arnaz was absolutely it for me. Even before that I pretty much imagined that I was going to end up just like Lucy and marry a Desi of my own. I love "I Love Lucy." 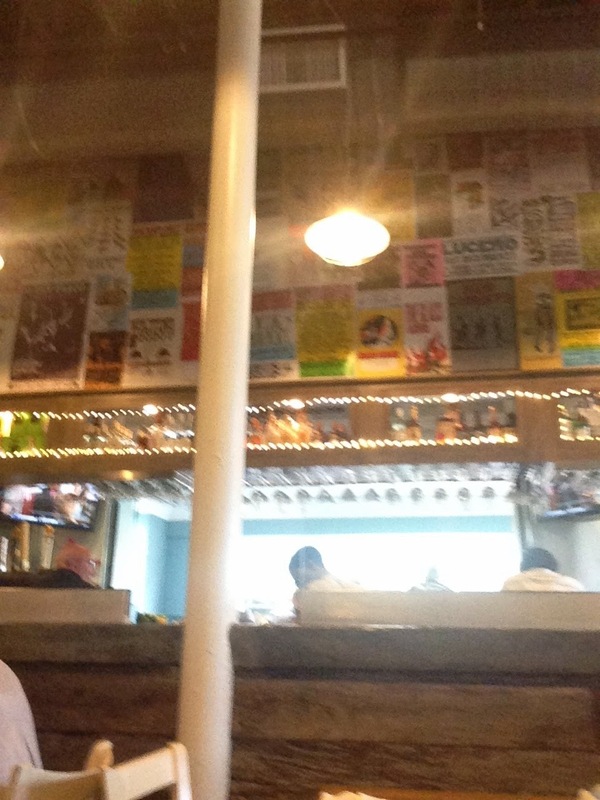 I LOVE Babalu Tacos & Tapas. We started off with some appetizers/small plates, and each got one big things, which is absolutely what I would recommend. 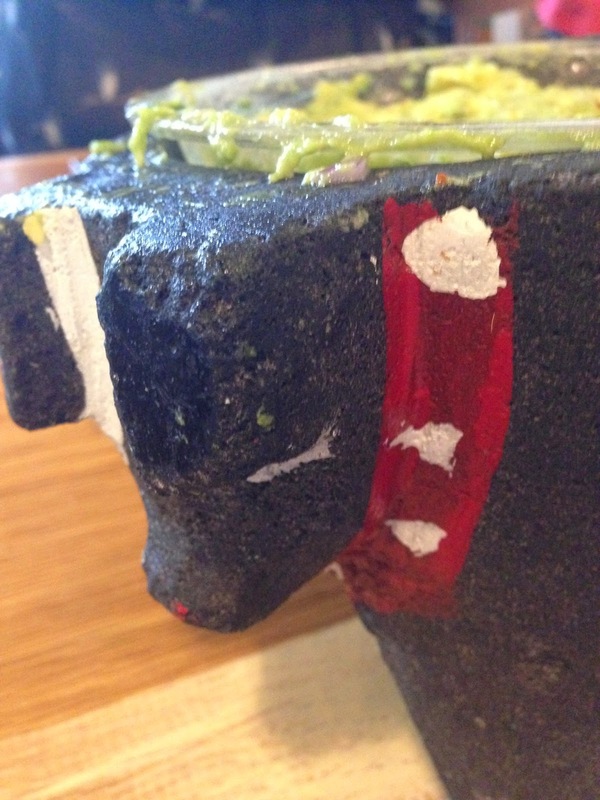 We started with the guacamole, which is made tableside and is totally customizable, delicious, and comes in an awesome molcajete. 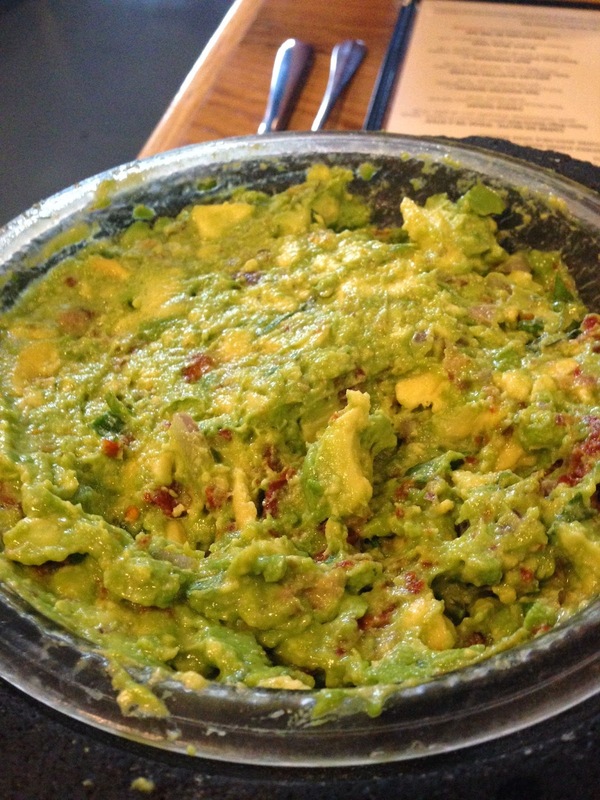 They add sun dried tomatoes (I usually do fresh, but it was really good), and we added bacon to ours. We also asked that our server put about half the normal amount of cilantro and it was perfect, so don't be afraid to ask for specific amounts of ingredients. 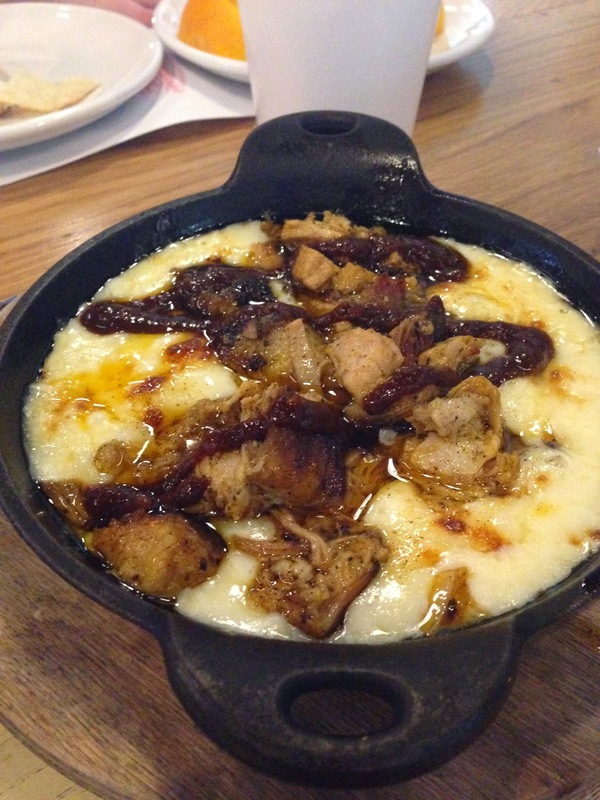 We also got the queso blanco dip and added pork belly. Kirby got the empanadas, and Cloe got black eyed peas, rice, and our awesome server rounded up some fruit for her (none of which I took a picture of, but it looked great, and they are super accommodating for off the menu requests). I got, without a doubt, one of the top 5 best burgers I've ever had in Memphis. 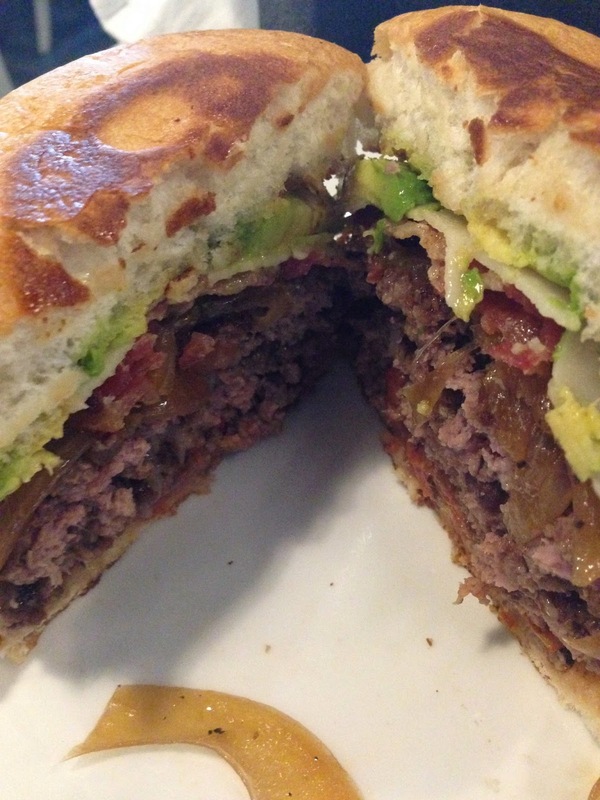 It is: "Aspen Ridge Natural Angus Beef, roasted roma tomatoes, caramelized onions, white cheddar cheese, avocado, applewood smoked bacon, chipotle aioli, sweet sourdough bun" burger and it is almost as badass as Lucille Ball. It comes in a large ($10.50, two patties) or small ($8.50, one patty), so of course, for research purposes, I got the large. 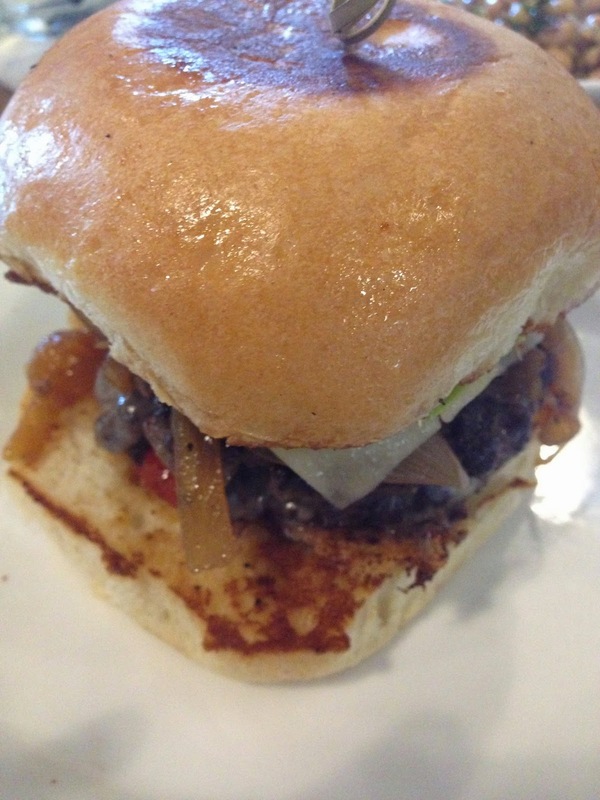 Cooked perfectly medium-well (their default), super juicy, and that bun is like a sweet blanket wrapping up all that deliciousness. Service was really good - it was a little scattered at times, but all the servers will refill your drinks and bring food out, and I think they were short, so it was fine. Since everyone was so nice and accommodating and the food was so good, the minor hiccups were just that. By the time we left the line was massive, so definitely get there early or be prepared to wait - and spend some time browsing the local stores! 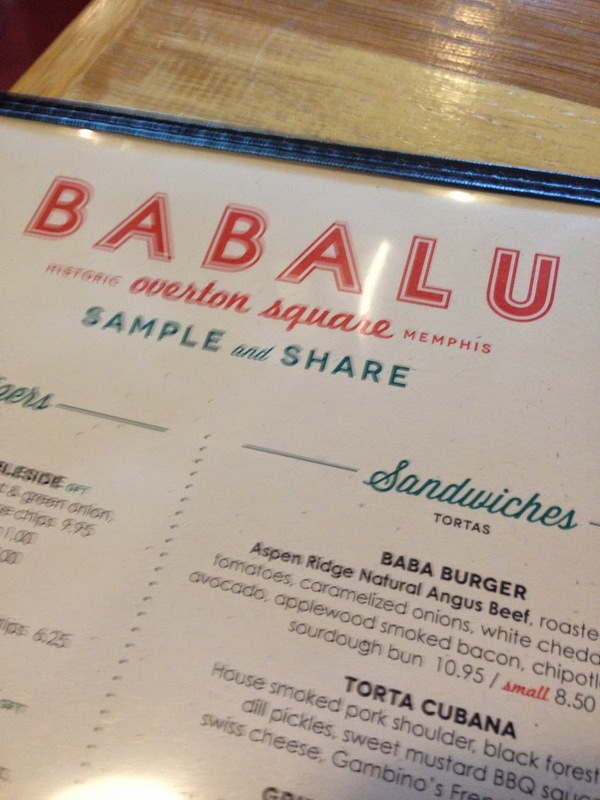 I definitely recommend Babalu, and I will DEFINITELY go with anyone who wants to have some lunch/dinner/snacks/drinks!